My favourite soup here is the corn soup because they have perfectly captured the sweet flavour of corn and matched it with the chicken. Superb! It's really ‘sweet’ and ‘kao’. Great by itself or with rice. Guaranteed no MSG in all their food and it has even come out in the newspaper before. I've also tried their other soups and they're all awesome. My second favourite is the preserved vegetable and tofu soup. The taste is intense and is an amazing appetite opener. All the soups are rich with generous amounts of meat/carrot/whatever that soup contains. I finish every drop! * The portion here is extra big because we got 2 bowls. This tofu with minced pork sure did pack a punch! The sauce is very very flavourful so I finished all my rice with it. 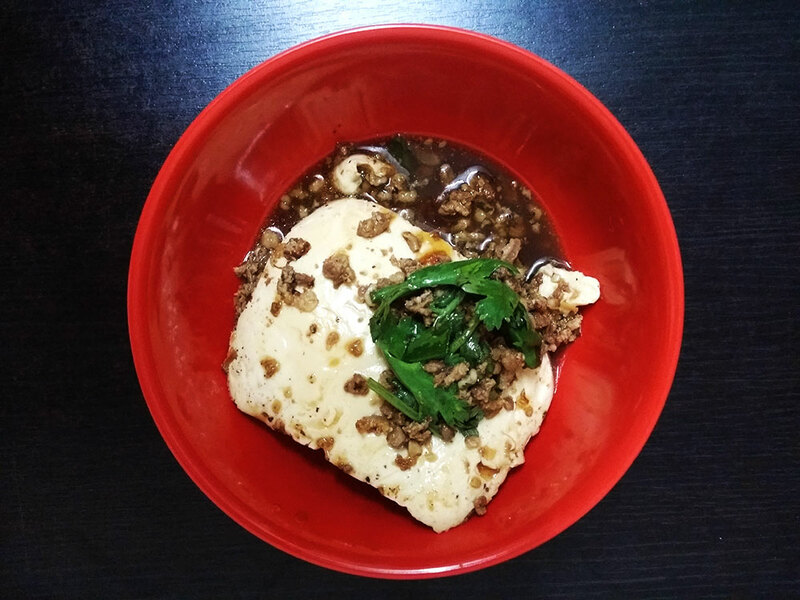 The tofu itself is very soft and smooth while the pork was cooked well. Not something I would normally eat but le Bf ordered it so I had it anyway. 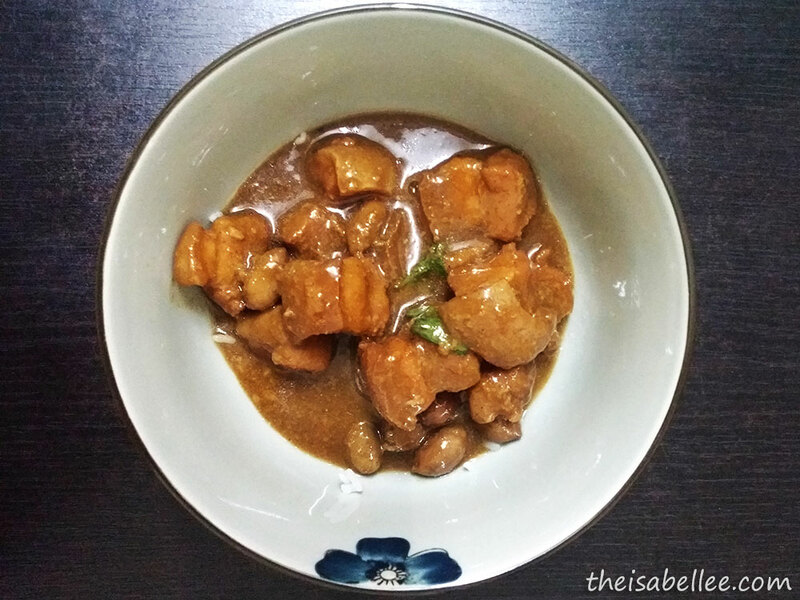 It's '3 layer fat' pork cooked in peanut sauce. The meat was a little tough but I was surprised to find that the fat layer was more chewy than the gooey, fatty mess which I imagined it to be. The peanut sauce is thick and slightly on the sweeter side so I do prefer the tofu sauce. Confession: I was thinking NOT to reveal the corn soup because I would then have to fight with you guys to have my fav soup xD So please.. don't drink all the corn soup ya..
if that toufu put some kikkoman soya sauce lagi best, but of coz this is my husband homemade,outside cannot get it...hahaha.... the soup looks very nice, suddenly miss my mom cook. Nyom..nyom. I miss home coke after seeing this post. My Little Angels love to drink soup. Without any MSG, will bring them there to try it out. 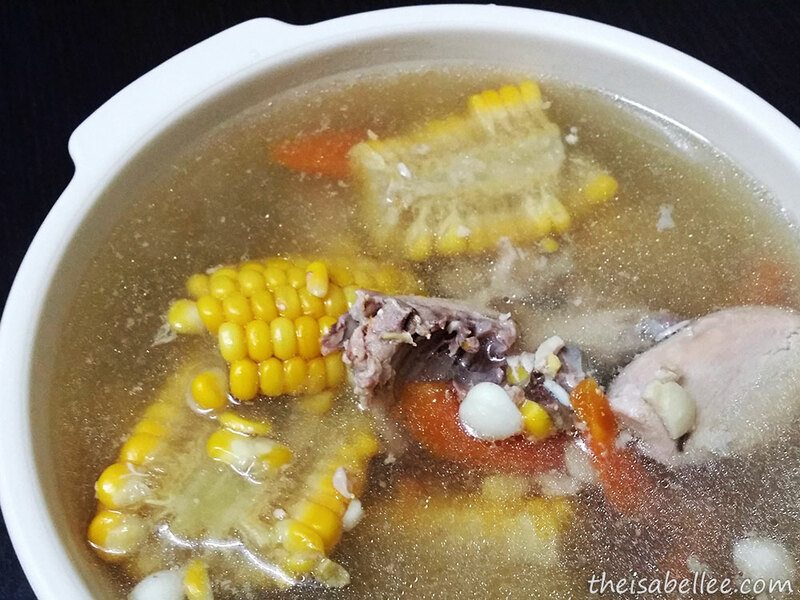 Is the Corn Soup double boiled? Cause it doesn't look like it but always felt double boiling it gives the bone that extra kick to bring the flavors out. 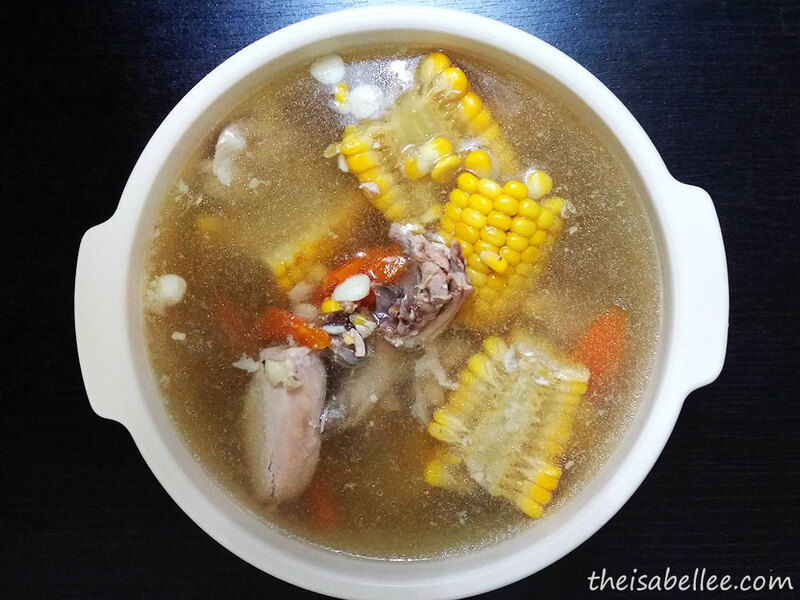 The corn + chicken soup is like my comfort food. If only I can get a bowl of warm soup daily! After read your blog review, I would love to try their corn soup. LOL XD Hope they have enough soup to serve us . I love corn soup also! It was really healthy and yummy soup. Frankly I just love soup XD I miss home cooked after reading your post hehe! We have the same favorite soup which is con soup hahahaha! Never realize this restaurant at Taman Paramount. Will visit in one day and try out their corn soup. Looks delish. I wonder how I could go there. Is it near to the LRT station? It looks really homecooked, and I'm a sucker for this kind of homecook-like meals. Thanks for sharing and will go visit if I could.